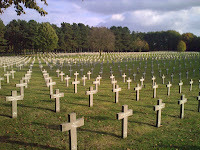 Due to my own personal past I have an interest in the war history here in Europe that I am surrounded by. I have visited famous historical sites in France, Belgium, Germany and the Netherlands, but today I was in two different worlds in one day. 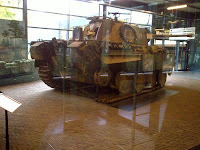 First was the stop at the WWII museum in Overloon, with an amazing collection of gear including a submarine, several planes and numerous armored vehicles. Much has been updated since my last visit so the trip was well worth it. What struck me most was the motto on the wall: "War belongs in a museum." 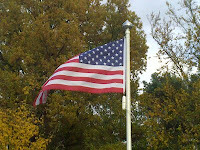 Outside this location you will find the American flag flying, something that always does my heart a load of good! 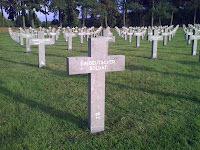 The next stop was to a WWII German cemetery in Ysselstijn. This is by far the largest of all the cemeteries I have visited yet. Bigger than above Omah beach, La Cambe or Margraten. 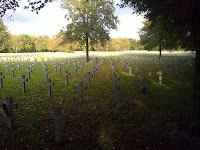 Here you find 31,000 graves spread out in a field that is not only large, but leaks out into the various side openings between the trees on the edge. This gives a strange impression as you see even more crosses through the trees no matter which direction you look. A sad, sad sight for anyone to see, no matter what country you come from.